The Reward Box is an award winning and fun take on the traditional reward chart. 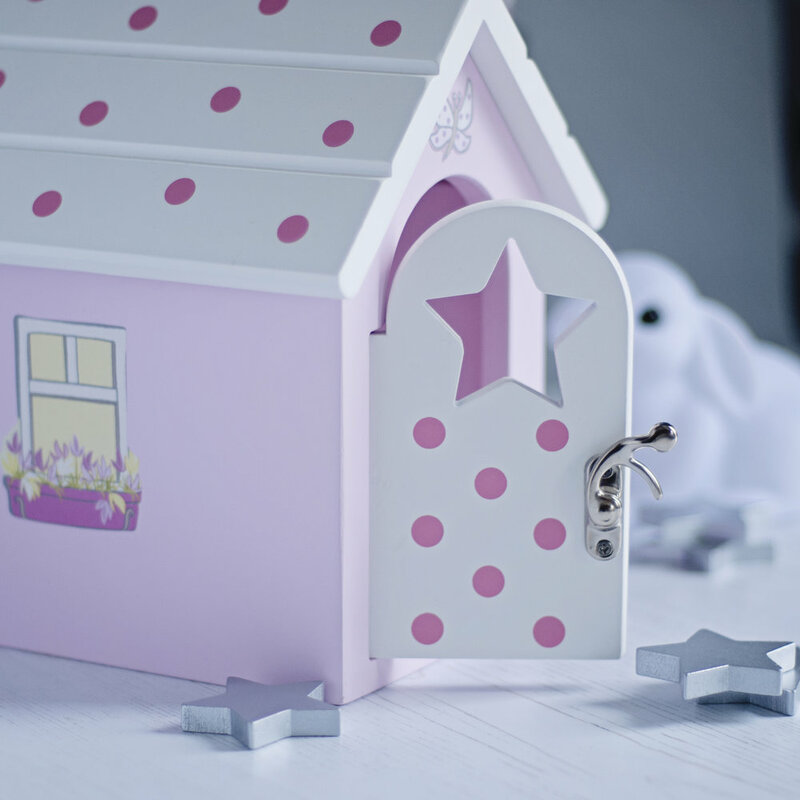 It is beautifully crafted from wood and comes in two designs (A Fairy House and a Pirate Chest). 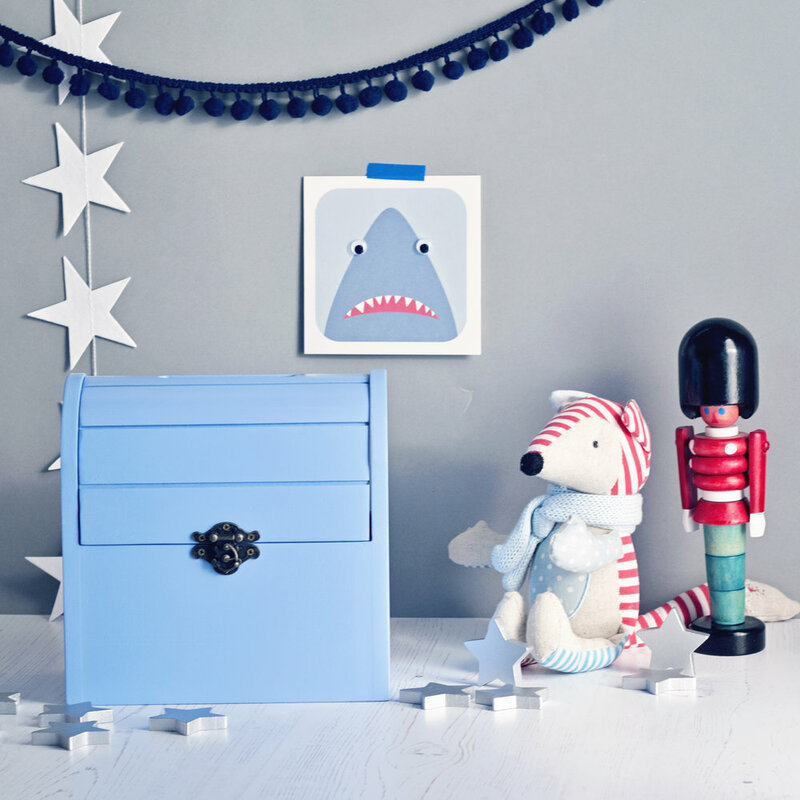 The Reward Box comes presented in a gift box and contains an organza bag of 20 (silver) wooden star tokens. The box can also be personalised with your child's name and decorated with a set of fabulous themed stickers using the Personalisation Kit included. We have chosen to stock The Reward Box at EatWell-UK as it is a fabulous tool to encourage fussy eaters to experiment with new foods. 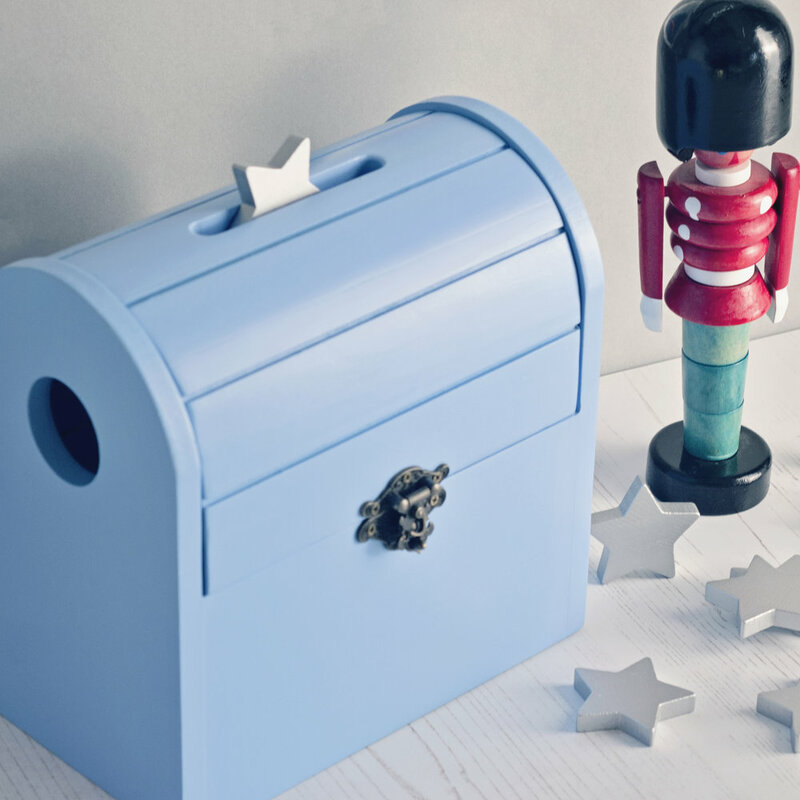 There are a huge number of ways you can use your Reward Box (from introducing Potty Training and encouraging bedtime routines to completing chores and homework). Here are EatWell-UK we especially like the way it can be used to get your child to try new foods. 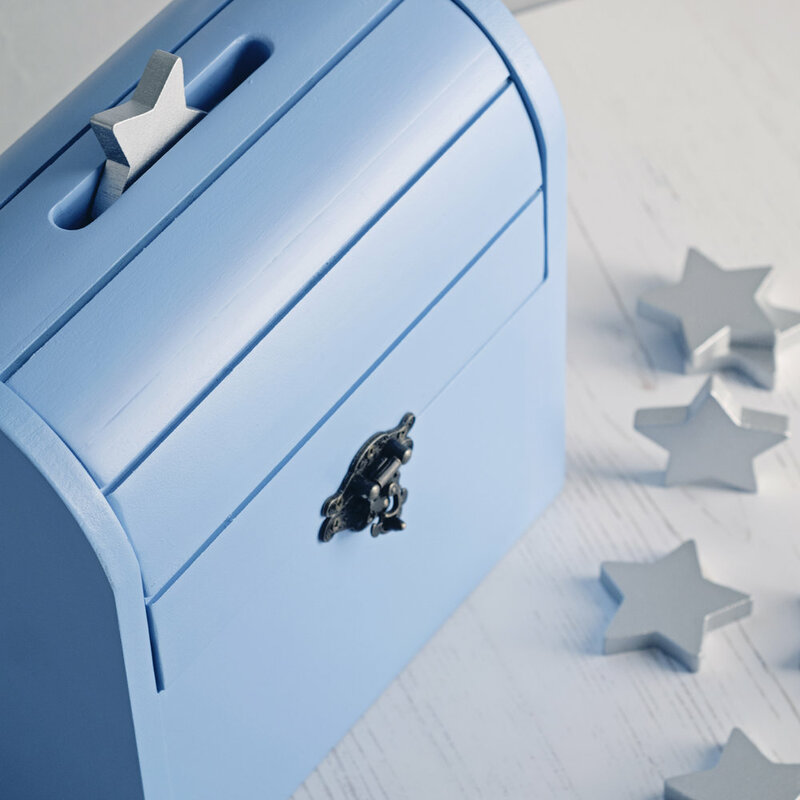 Children can be rewarded with a silver star to post into their box every time they try something new, eat all of their vegetables or make a 'healthy' food choice. It can also be used to encourage good mealtime habits such as sitting at the table throughout the meal and using good table etiquette. 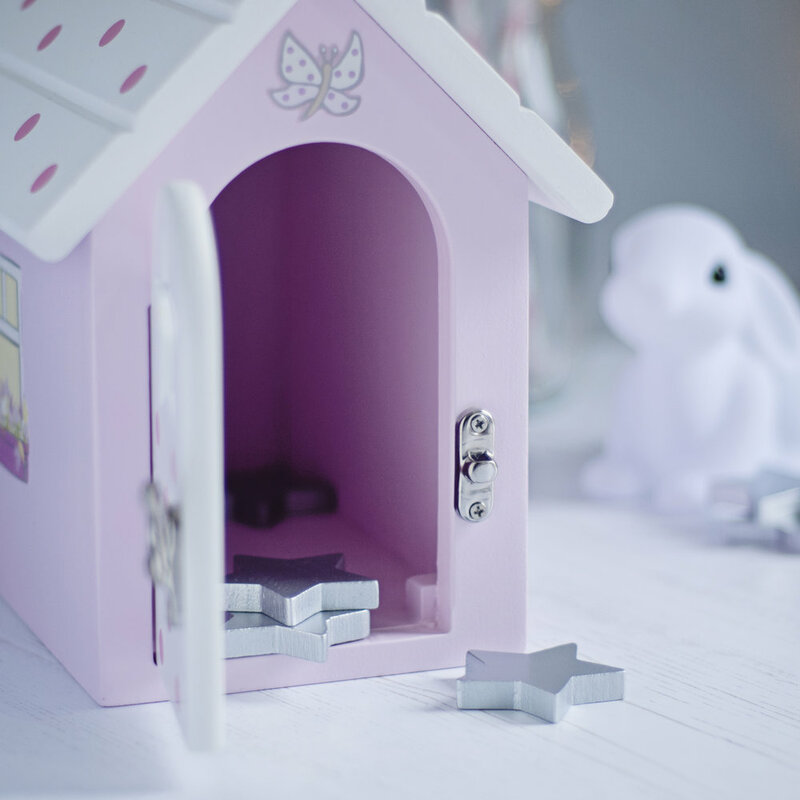 When they have collected enough stars the fairies can visit and exchange their stars for a small reward or promise voucher (for a family activity such as a trip to the park). I have a 2 year old granddaughter who is going through a “mischievous phase” shall we say. The usual things aren’t working and her parents are unsure what to do next, so I looked at rewards, stickers, jars etc. and came across this, it’s absolutely beautiful and can have her name on it too, I’m really pleased with it and so far it’s doing the job, she loves getting the stars for being a good girl.